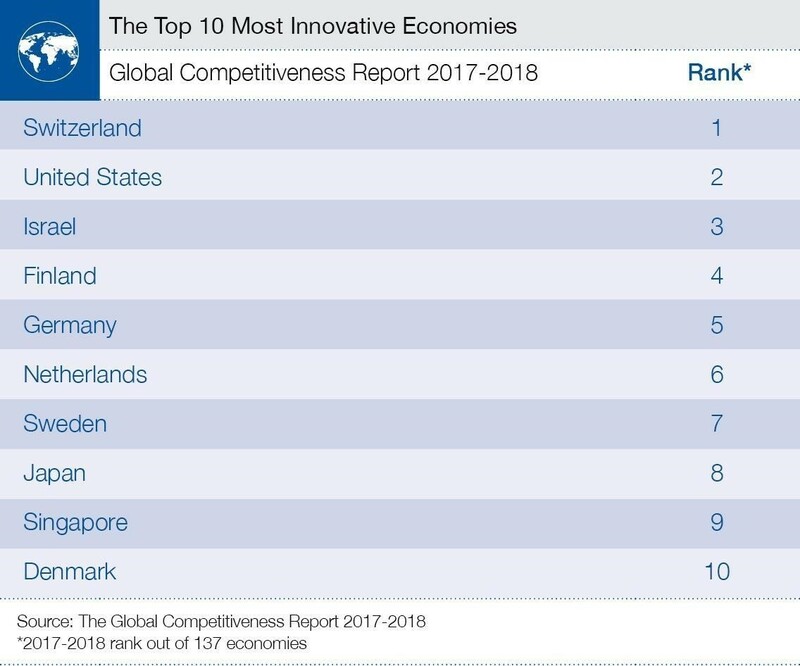 Switzerland is the world’s most innovative country. Its capacity for innovation and the quality of its scientific research institutions are just two of the factors that have enabled this small alpine country to hold onto the top spot in the World Economic Forum’s latest Global Competitiveness Index. Swiss companies are ready to invest in research and development (R&D) and collaborate well with universities to produce an economy where innovation is high on the agenda. 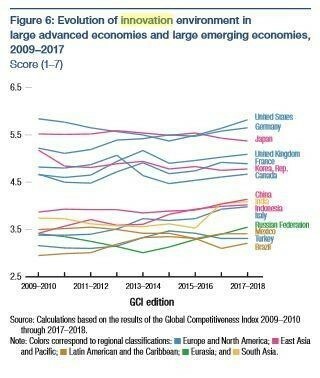 The index rates countries on 12 pillars of competitiveness. 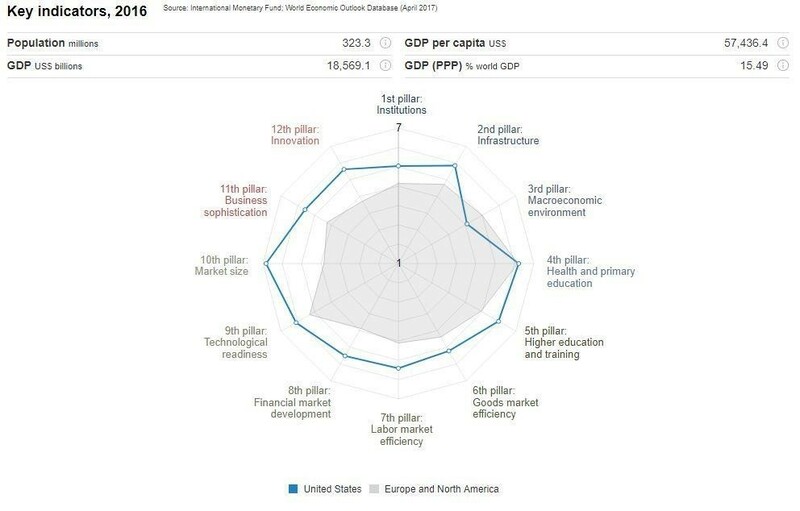 Countries are ranked according to each pillar, the 12th of which is ‘innovation’. Each pillar is also split into various subindexes. Switzerland has remained top of the overall global competitiveness ranking for six years in a row. The US comes second, which matches its second place on the overall index. The US has a vibrant innovation ecosystem. Like Switzerland, it scores highly on most of the subindexes of the pillar, except for the number of its patent applications, where it sits in 10th place. 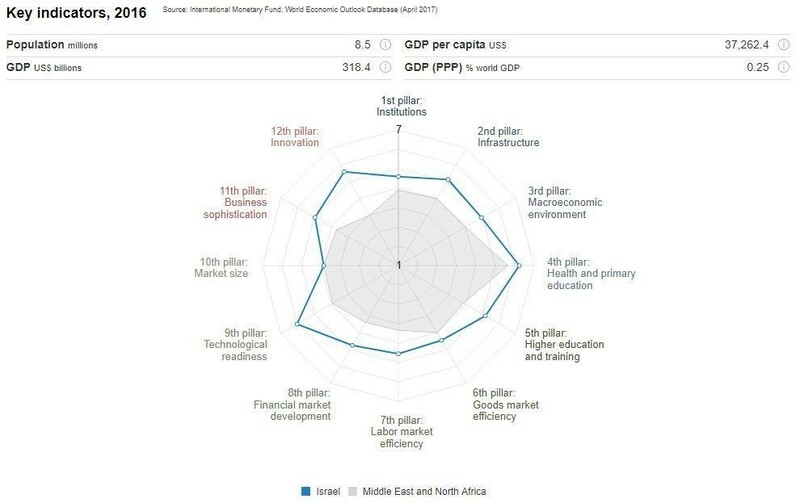 Israel’s third place is driven by similar strengths to Switzerland. It has a good capacity for innovation, high quality scientific research institutions and strong private sector spending and collaboration on R&D. Europe leads the way when it comes to the Innovation Index. Of the remaining seven in the list, five are in Europe (Finland, Germany, Netherlands, Sweden and Denmark). Finland has the highest score for the number of scientists and engineers, while Germany is top for company spending on R&D. The quality of Dutch scientific research institutions boosts the Netherlands’ innovation score the most. Sweden, in seventh place, has the second highest score for patent applications. This is also where Denmark (10th) performs the best. Japan (eighth) and Singapore (ninth) complete the top 10. Japan scores highest in patent applications while Singapore is strong on government investment in advanced technology products. Japan and the Republic of Korea appear to have lost ground in recent years when it comes to innovation. Some of the larger emerging markets, on the other hand, are gaining ground. China, India and Indonesia in particular are all continuing to improve. Innovation remains a key driver of economic growth. The sheer pace of technological change seen in recent years creates unprecedented opportunities, as well as challenges. The report states that the nature of innovation has changed significantly in the last decade. Where once innovation was largely confined to corporate or university labs, it’s now being driven from many different sources, or what the report calls the “distributed intelligence of a global crowd”. The report outlines threats to the future competitiveness of economies. Two of those concern innovation. Firstly, financial vulnerabilities pose a threat to the ability of countries to continue to fund innovation and technological adoption. Secondly, while emerging economies are becoming better at innovation, more could be done to spread the benefits more widely in society.